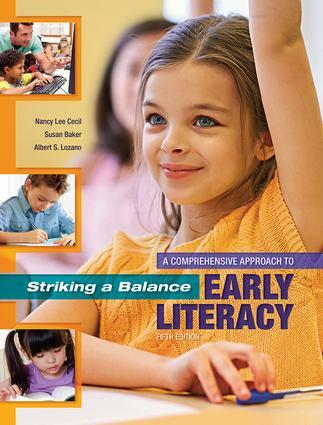 Striking a Balance explores a comprehensive program of early literacy instruction through a balanced approach to reading and writing for both enjoyment and information. The fifth edition retains the special features that adopters have come to appreciate: classroom vignettes, discussion questions, field-based activities, a student website, and study guide. This latest edition offers expanded content on differentiating instruction for diverse learners, including working with English Language Learners and students with special needs. Also new to this edition is greater coverage on integrating state standards with early literacy instruction. The book’s practical approach fundamentally demonstrates how children develop authentic literacy skills through a combination of direct strategy instruction and motivating contexts.